The 31-year-old will take the onus of his side for the second time as Test captain. He had earlier led the side in the first Test against England at the Lord's in 2017. 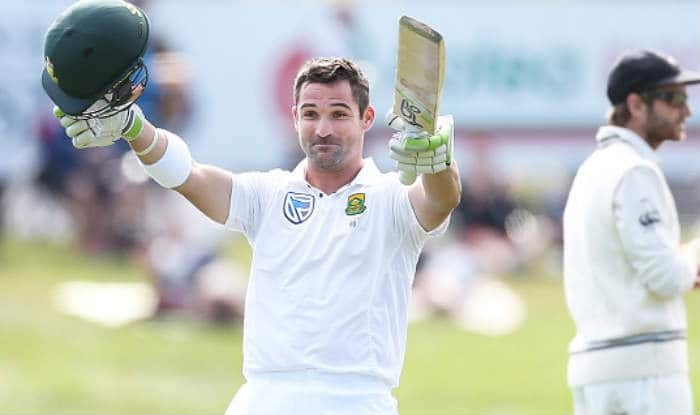 South Africa batsman Dean Elgar is set to stand in for Faf du Plessis in the final Test against Pakistan, starting on January 11. Du Plessis was suspended for one Test and fined 20 percent of his match fee after his team was found guilty of maintaining a slow over-rate during the second Test, which South Africa clinched by nine wickets. The 31-year-old will take the onus of his side for the second time as Test captain. He had earlier led the side in the first Test against England at the Lord’s in 2017. “The appointment of Elgar as stand-in captain is part of our strategy to develop our pool of leaders,” ICC quoted Cricket South Africa national selection panel convener Linda Zondi, as saying. “We have previously used Aiden Markram and Quinton de Kock in this role in ODI matches, and Dean (Elgar) has previously captained the Proteas at Test match level against England at Lord’s in 2017,” he added. Meanwhile, opener Pieter Malan has been put on standby for the third Test after Markram sustained an injury to his right thigh during the second Test at Newlands. He will undergo a fitness test on the eve of the match after which a decision will be taken. “Pieter Malan has an outstanding track record in four-day domestic cricket over the past two seasons, having made more than 1700 runs including seven centuries. He has also made the step up to South Africa A level, first against Australia and then against India A on the sub-continent,” Zondi added. South Africa have taken an unassailable 2-0 lead in the three-match series and will aim for a clean sweep in Johannesburg.